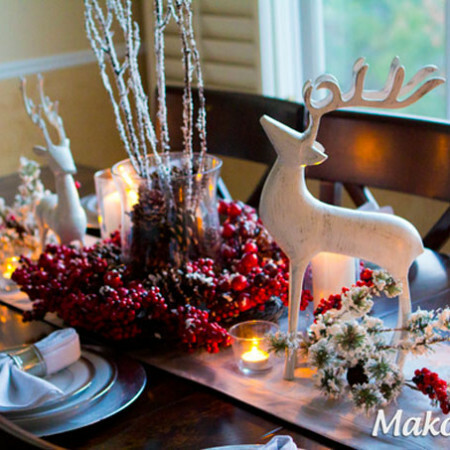 I love making the holidays more festive with some coordinating holiday designs and a classic game. 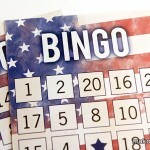 Bingo is a perfect game that people of all ages enjoy play. 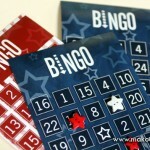 It is a great game for a family reunion, neighborhood party, or family game night. To play the game, I call numbers at random and keep track of them on a piece of paper. 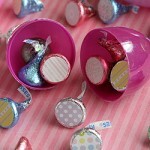 Choose your favorite Easter candy – Kisses, Jelly Beans, Reese’s Cups – you name it! 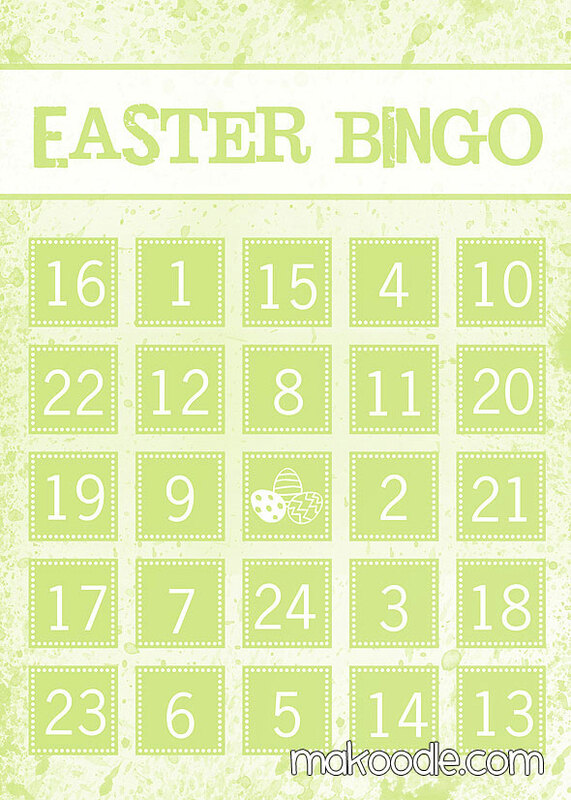 Did you notice that the designs coordinate with the Easter countdown printable? 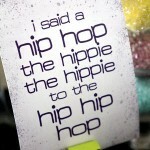 Don’t miss the Hip Hip Hop Easter printable either! 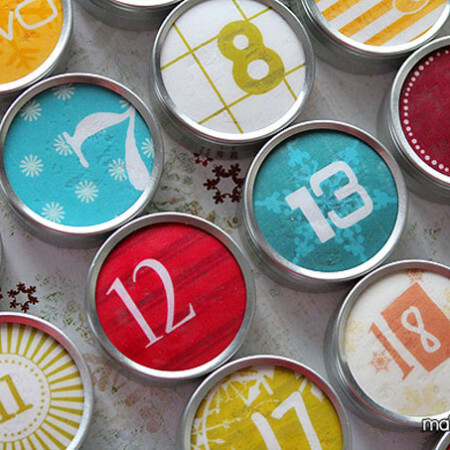 The cards are sized 5″ x 7″ and can be printed using card stock at home or at your favorite printer. I printed my bingo cards at Costco and then had them laminated so I can reuse them. 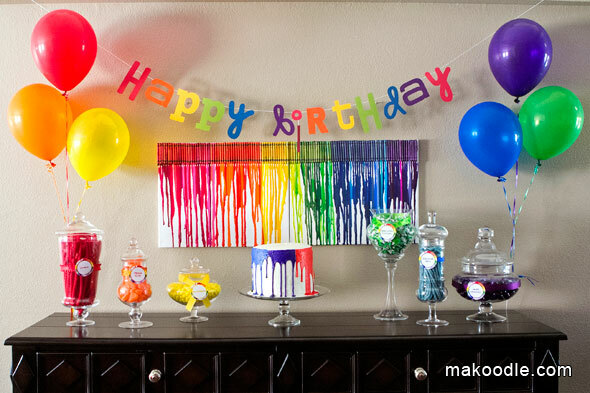 Camille, your site is too cute! I found you through the SNAP link up and wanted to say hello. I’ll be attending, as well. I love you recipe for the BEST SUGAR COOKIE EVER by the way. I need a good sugar cookie recipe and I think I just found it. 🙂 I hope to meet you at SNAP. Happy and safe travels! Thank you, thank you! I am so excited for SNAP. It is my first blog conference, so I’m a little nervous too :). I hope to meet you as well. You’re blog is darling. I love the chocolate covered strawberries. 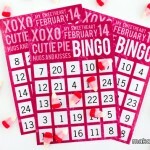 I LOVE your bingo cards!! 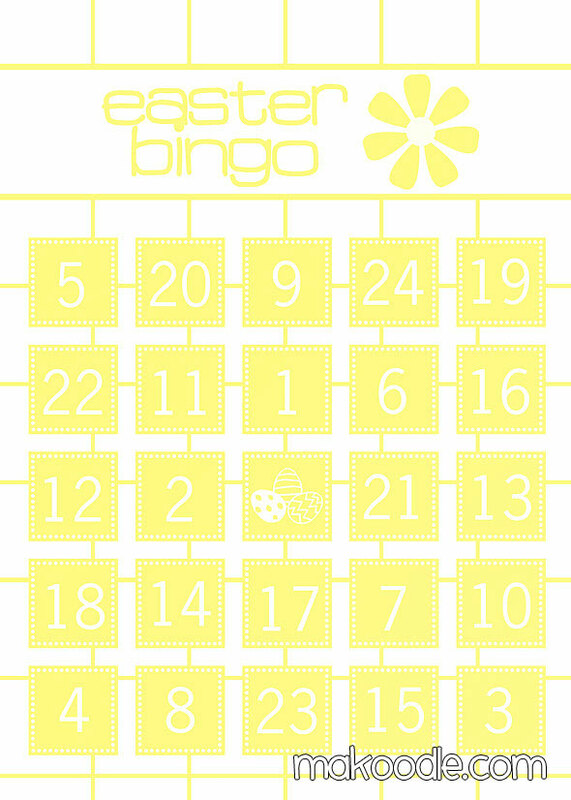 Im going to have a Bingo & Burger night with all my friends (we in our 30’s) I thought it would be a fun different thing to do with everyone! 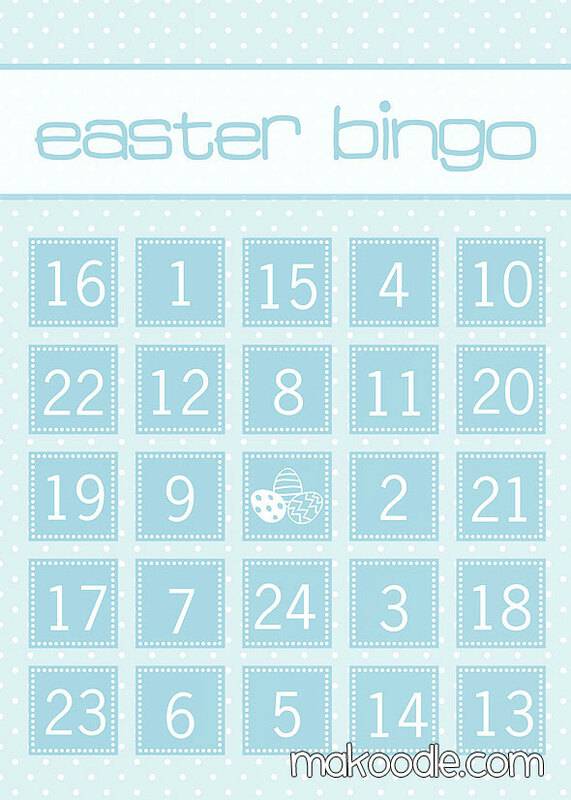 Do you have Bingo printable sheets just like your easter ones but not with the Easter heading and the easter eggs?! Yours are the best ones ever!! I don’t have generic ones yet. 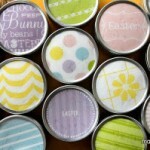 I will work on getting a generic version on the blog. Thanks for the feedback and thanks for stopping by! The purple one is now available. Thanks for letting me know I had two blue ones! This is a super idea! 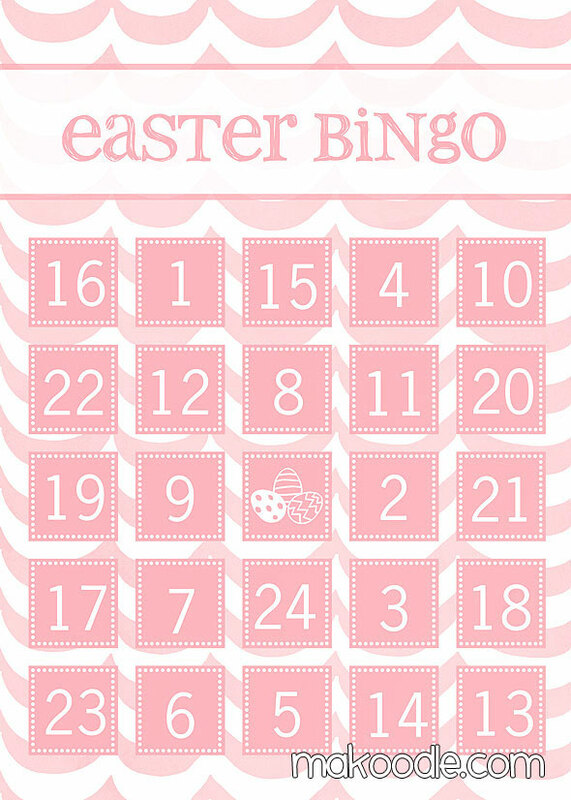 I’m going to change it a bit and instead of calling the numbers, there will be two printed numbers inside each of the plastic eggs along with the candy markers. The kids should appreciate a little healthy competition, lol! Maybe the “free” numbers will be hidden in extra hard to find spots! Thanks for the beautiful cards! This should make our neighborhood hunt a lot of fun! What cute cards! 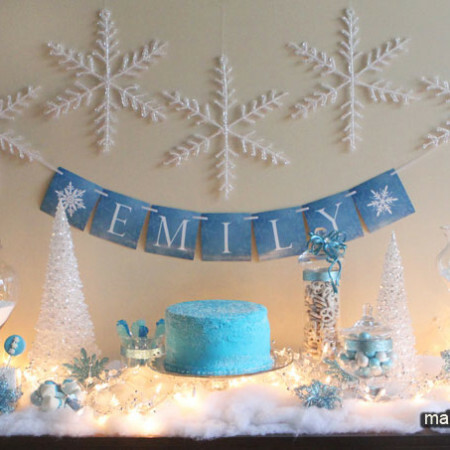 I love the idea of a holiday-themed game that the whole family can enjoy! Thank you for sharing! Thanks Michelle! Thanks for stopping by and have a great day! Hey Camille, I love this game, it’s tooo cute! I wanted to use it at my son’s “easter gathering ” but I can’t get it to download 🙁 any recommendations? Hi Ashley – Is it a certain style that you are having trouble downloading? What browser are you using – is it Internet Explorer, FireFox, other? Thanks! Love the colors and design. But I can’t seem to download any of them. It gets through about the first inch of the top and freezes. Anyone else having this problem? Hi Kelly – What design are you downloading and is it a certain card or is it all of them? Thanks! I obviously got this worked out since I didn’t keep coming back for your reply. Thanks for offering, but it ended up printing fine the next day! The cutest cards ever. Thanks for making it free and accessible! 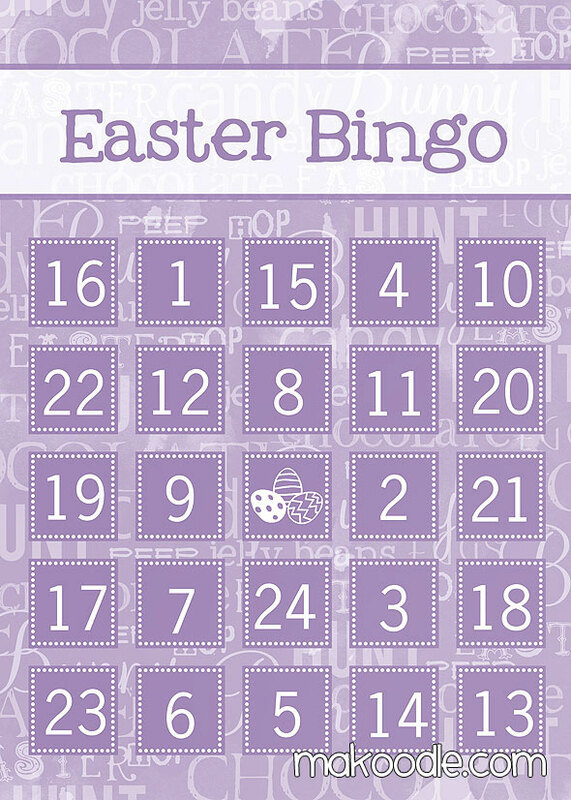 Hi Megan – I’m glad you are able to use the bingo cards! Thanks for stopping by. Have a great day! Hi there, Is there a way to download them all in one go instead of individually?? Or am I doing something wrong.?? I love these by the way. – I am a cub scout leader and things like this are always fantastic to have. Adorable!! Totally sharing this on FB.. Thanks so much for the fun! 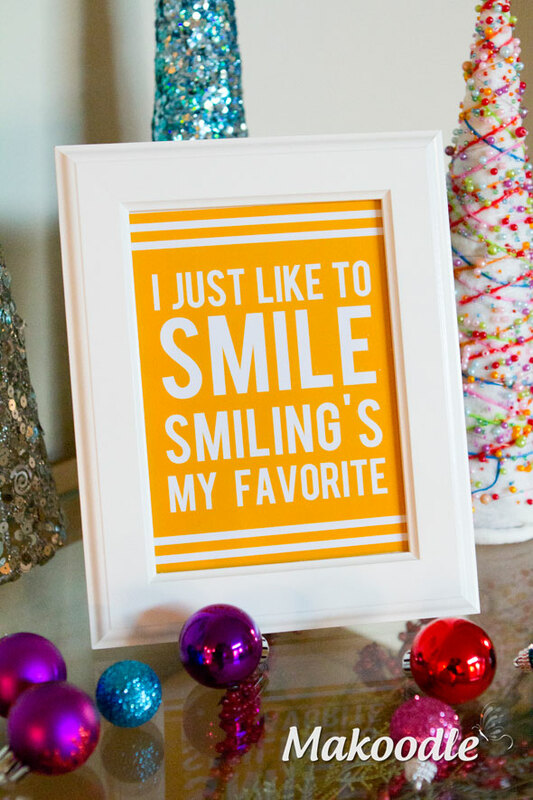 Stopping by from the TT&J link up.. Hope you’re having a wonderful evening! I love fun holiday games. 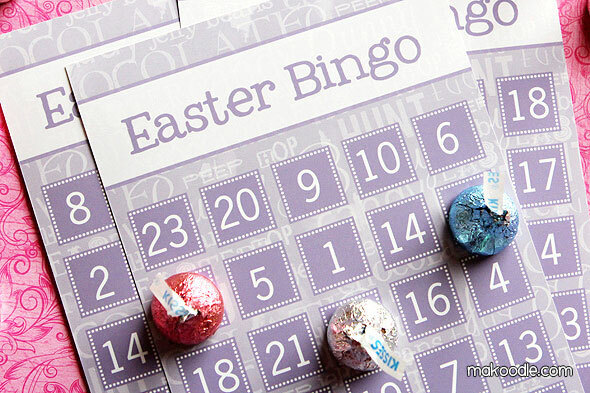 These Easter Bingos are so cute, I love the fun colors. Thanks so much for sharing! Have a great day!